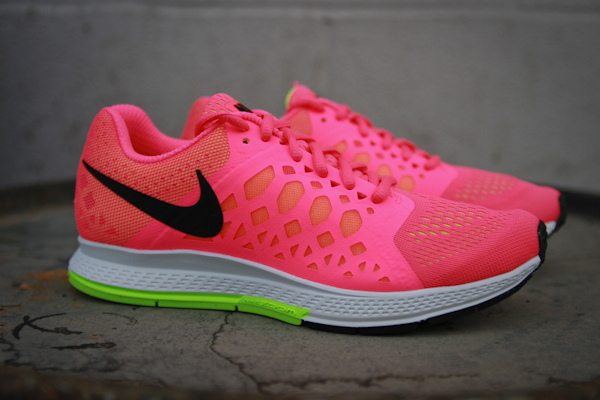 How good does the new Nike Zoom Pegasus 31 shoe look? Fleet Feet is one of a few select retailers to carry this shoe. These might be one of the most photogenic shoes we've shot for the store, but don't let the amazing looks make you think it's an average shoe. With the release of the shoe, Nike Running is ready to unlash a news view to fast. They are coming it the Zoom Boom. Available now in blue (men's) and pink (women's). See below for specs and more photos. 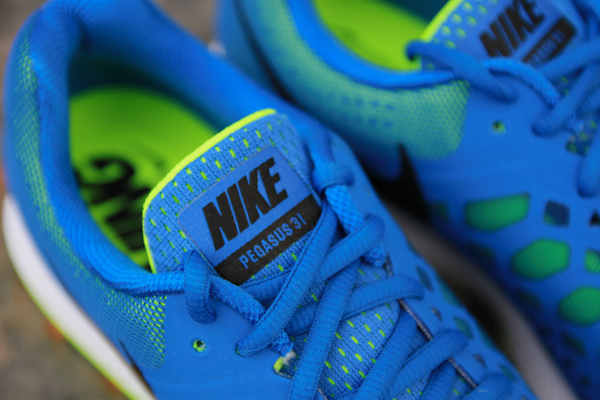 NIKE AIR ZOOM PEGASUS 31: A HIGHLY RESPONSIVE, HIGH-MILEAGE SPEED MACHINE. 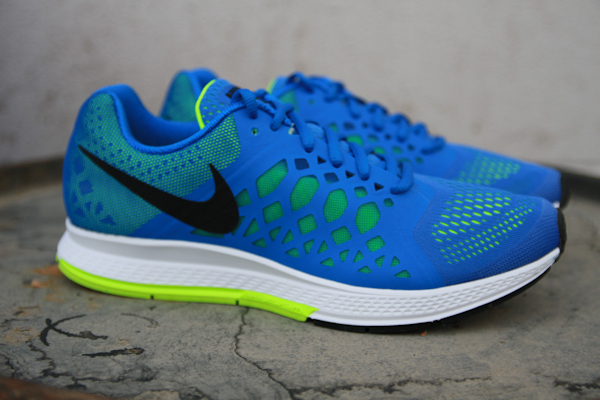 • Nike Zoom Air unit under the heel delivers highly responsive cushioning. • Engineered mesh upper supports the foot with fewer layers. • Wider footprint and crash rail help stabilize the foot from impact to toe-off. • Lower heel-to-toe offset provides more natural footstrike. Elements are built in instead of stitched on, reducing irritation and weight. The same number as on the original Pegasus in 1983, for exceptional traction. Guides the foot through the entire footstrike, for increased stability. Lower drop from heel to toe, for more natural motion. 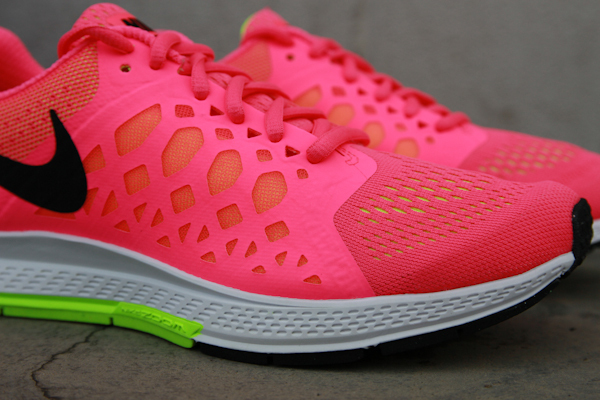 Immediately underfoot, for ultra-responsive cushioning. 32mm of roll, for smoother transition and quicker toe-off.